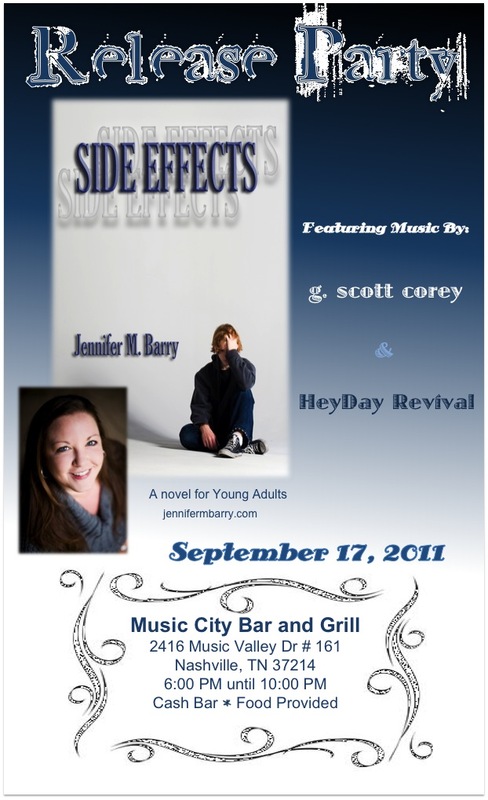 So, it’s just a little over a week until the release party for Side Effects, and I really just can’t handle the excitement. It’s been a crazy couple of months, with a book release and a trip to Ireland keeping me busy, busy, busy. I’m ready to just sit back and enjoy the celebration next Saturday night! Before I can do that, I still have miles to go, but I’m having a wonderful time getting everything prepared. I’m looking forward to welcoming friends from as far away as Los Angeles to the west and Charleston to the east. It’s going to be a wonderful, inspiring, and love-filled event! I’m sharing the poster because I want anyone and everyone to know that the event is open. Even if we have never met in person, you are very welcome to join us for the celebration. I will have my family and friends by my side, but I’m a firm believer that a stranger is just a friend I haven’t met yet. If you’re interested in hearing some great music and enjoying the celebratory vibe, you’ll know where and when to find us!